Your way to Florence:accommodation, tourist services and resources of Chianti, Florence, Tuscany, Italy. After rejecting Brunelleschi's plans Cosimo the Elder commissioned from Michelozzo (1396-1472) the design of his palace in Via Larga, now via Cavour, near the family church of San Lorenzo. This new palace was begun around 1444 and represented the real arrival of the Renaissance palace type in Florence with each floor clearly delineated and a huge cornice crowning the roofline. The relationship of the elegant windows and the rustication is particularly beautiful. On the ground floor the closed arcade at the corner was formerly a public loggia and the two asymmetrical doors led to the typical fifteenth century courtyard based on Brunelleschi's ideas. By 1460 the palace was complete, but already in 1517 the original building had been altered, by closing the loggia and adding the two windows by Michelangelo. Cosimo and Lorenzo de' Medici had lived here, but the palace was abandoned by Grand Duke Cosimo I in 1540 when he and his wife moved to Palazzo Vecchio as part of his new vision of Medici power. The lesser members of the family continued to live in it until Grand Duke Ferdinando II (1610-1670) sold it to the Marchesi Riccardi. This was when the palace was enlarged on the rear side and the Gallery holding Luca Giordano's important Baroque frescoes was constructed. The large entrance staircase by Giovan Battista Foggini (1652-1725) was then added, Baroque decorations added to the courtyard and to the interiors, leaving only some wooden ceilings. Above all the enlargement of the Via Larga facade took place, seven additional windows now bringing the number to seventeen on the first and second floors: this was carried out in 1715 in a way designed not to disturb the original building of Michelozzo. Until 1814 it belonged to the Riccardi family, but when Florence was Capital of Italy it became the headquarters of the Ministry of the Interior and from 1871 the Prefettura. Riccardo Romolo Riccardi had already shown a passion for the arts and letters when he began collecting classical sculputures for his villa at Valfonda at the end of the sixteenth century. At the same time he founded the first nucleus of books, later to form part of the famous Riccardian library. However, after a period of great splendour, the considerable patrimony of the Riccardis had notably diminished by the end of the eighteenth century and during the first years of the nineteenth century financial difficulties were such that the Riccardis were forced to auction the most beautiful objects from their collections of paintings, statues, jewels and coins. Finally, in 1847 the Riccardi family died out and the name and title passed to the Mannelli Galilei. Today, the old chapel frescoed by Benozzo Gozzoli in 1459 is undergoing restoration. It will be reopened as from 1992. 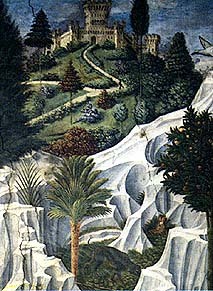 Here Gozzoli (1420-1497) painted the tiny space in the heart of the original palace (later disrupted by the construction of the staircase) with the Procession of the Magi. 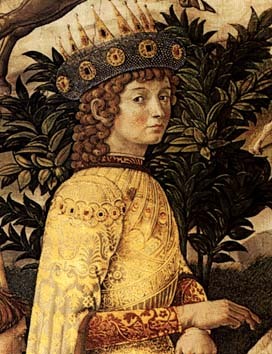 In it, he portrayed the train of the Concilio which met in Florence in 1439, including portraits of the Medici placed close to those of their powerful friends. This was probably the first example in a religious setting of such secular usage, and signals the beginning of the Medici power. The altarpiece is by Filippo Lippi. � Florence Museum Tickets Reservations New!